What is another word for adaptive? 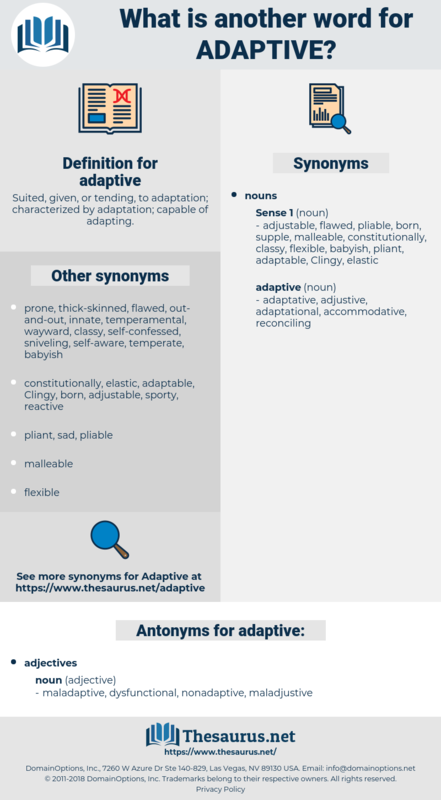 Suited, given, or tending, to adaptation; characterized by adaptation; capable of adapting. evolutive, adjusted, progressive, tailor-made, sensitive, customized, active. attachments, fittings, furnishings, machines, fixtures.